Samsung Samsung Galaxy S2 was one of the most popular android phones in 2011. It was the first Samsung phone to be powered by a dual-core processor. With an incredible 4.3 inch super AMOLED Plus touchscreen, Samsung Galaxy S2 was leagues ahead of most smartphones. Other highlights include 1080p Full HD video recording, an 8 megapixel still camera and a secondary front-facing camera for making video calls. 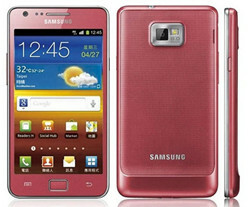 Samsung also released a romantic color - the pink galaxy s2 at the end of December. It is certain that Samsung Galaxy S2 can enlarge its female market with the pink Samsung Galaxy S2. For the Samsung Galaxy S2 users, isn’t it a good idea to watch your favorite DVD movies with Samsung Galaxy S2 on the move with the 4.3 inch screen?No doubt that the answer is YES and you may ask how to watch your favorite DVD movies on the Samsung Galaxy S2? 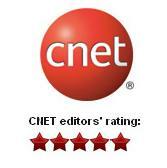 What video formats supported by Samsung Galaxy S2? 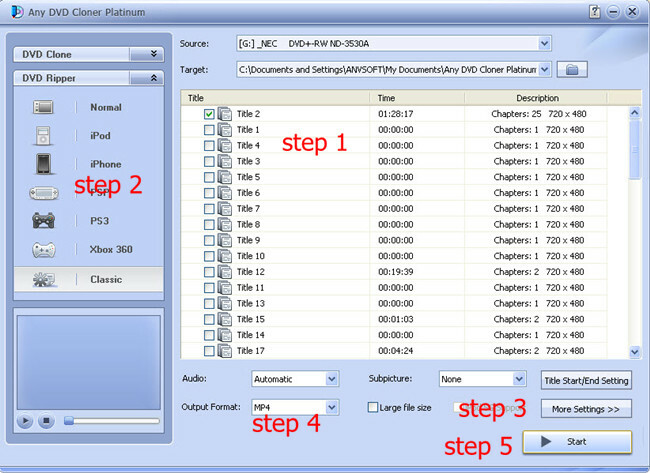 It is not a problem if you have a DVD to mp4 converter – Any DVD Cloner Platinum. Ripping DVD movies to MP4 with Any DVD Cloner Plaitnum, then transfer the MP4 file to Samsung Galaxy S2 and you can enjoy the movie anytime and anywhere. Step 1: Insert DVD into DVD burner and launch Any DVD Cloner platinum, Any DVD Cloner platinum can recognize the your DVD burner path automatcailly, then click "Open DVD" button to load the DVD stucture. 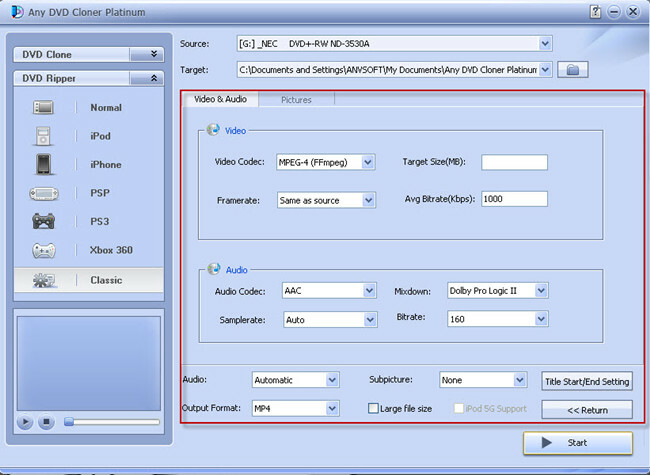 Select "Classic" mode so we can make the output file format is .MP4 for playback on Samsung Galaxy S2. Step 3: Click "More Settings " button to customize video and audio parameters. Step 6: Transfer the file to your samsung galaxy 2 and enjoy the movie!